What would you recommend to anglers fishing in Jupiter, Florida? 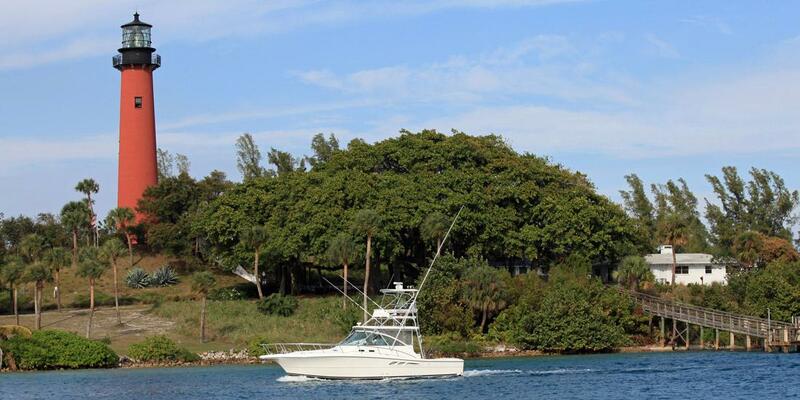 What would you recommend to anglers fishing in Jupiter, Florida for the first time? I would only suggest that the people fishing listen to their Capt. as to whether to venture out into the ocean or just fish the Intracoastal and the Loxahatchee River. They usually know how rough or calm it could be. Bring money. Wish we caught more. Only 3 keepers. The boat was more cabin than fishing area. No place to sit outside. The crew was great. The mate worked his but off for us. Very professional crew. Extremely high tide and cooler weather limited the number of bites and catches. Capt. Trey was great and very knowledgeable. Hit or miss weather wise but on the right boat with the right crew, you will find good eating fish that are fun to catch. Consider fishing intercostal waterway. Easy yet fun way to get started for the less experienced. What would you recommend to anglers fishing in West Palm Beach, Florida for the first time? What would you recommend to anglers fishing in Hypoluxo, Florida for the first time? What would you recommend to anglers fishing in Fort Pierce, Florida for the first time? What would you recommend to anglers fishing in Pompano Beach, Florida for the first time? What would you recommend to anglers fishing in Fort Lauderdale, Florida for the first time?